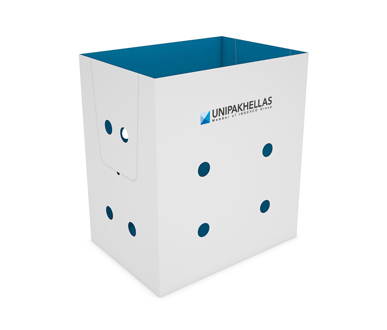 Telescopic Box for Fresh Produce - UNIPAKHELLAS S.A.
Telescopic corrugated boxes for banana, citrus and flowers designed to endure air freight conditions and fully customized with your company’s branding. 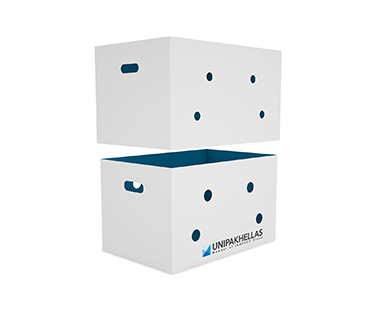 Our top and bottom boxes are made using high-strength corrugated board that keeps your fresh produce, such as bananas, citrus fruits or flowers, completely safe, whether they’re being shipped, stored or displayed. With two parts, and proper ventilation giving produce a longer shelf life, these telescopic boxes can also be fully customized with your branding to help promote your company.